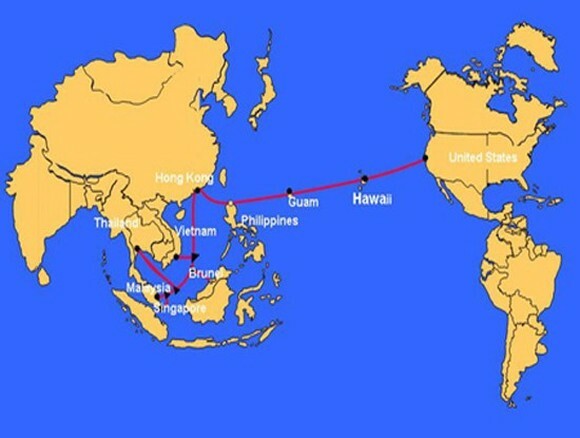 The Asia America Gateway (AAG) undersea cable suffered from a breakdown, cutting off all international connections through the AAG-SH1 branch of the line, an internet service provider in Vietnam confirmed on June 16 afternoon. Earlier, a number of internet users in Vietnam complained about lost of access to Gmail and Facebook. The cause of the breakdown has not been clarified, but it is believed to be a power leakage or cable breakage. This is the third breakdown of the cable line this year. The previous two ruptures were on January 6 and May 22. Repair of the May 22 breakdown was just completed on June 2. The AAG has a total length of 20,000 km, connecting Southeast Asia with the United States. It was put into operation in November 2009. The route’s connecting point with Vietnam is part of the S1 section, extending 314 kilometres and coming on land in Ba Ria-Vung Tau province.